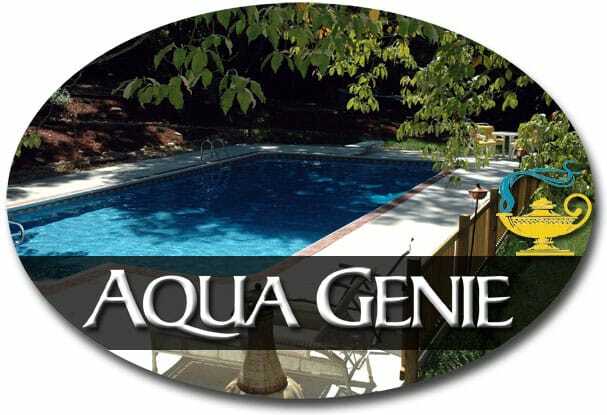 Aqua Genie is an Easy to Install Pool Maintenance System! This Innovative System replaces your out of date skimmer and reduces your pool maintenance and cleaning supplies by 67%…So Say Good Bye to your swimming pool nets and say Hello to Relaxation! 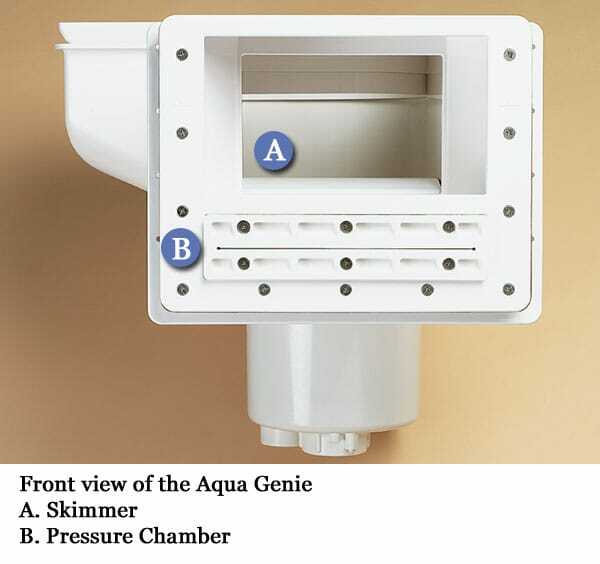 Tell your builder you want the Aqua Genie today! 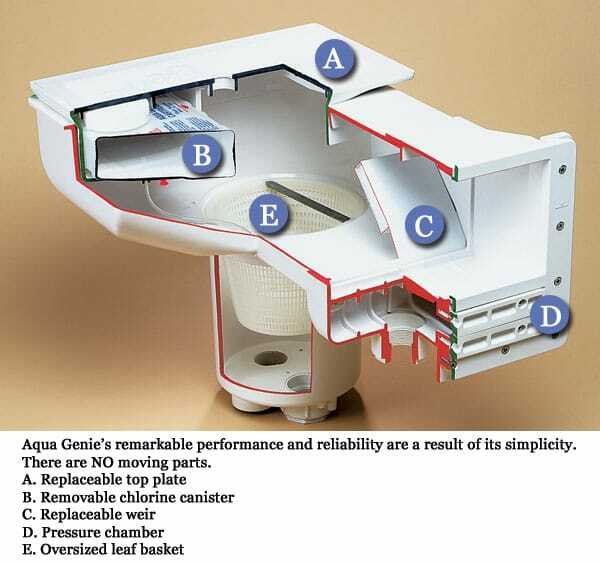 Make sure to request your pool builder uses an Aqua Genie! An Aqua Genie pool maintenance system will free you from the toil of cleaning your pool - many people see a 67% reduction in the amount of pool maintenance and clean time they undertake on a weekly basis.By using the unique pressure chamber, your Aqua Genie will force all the debris that normally rests on the bottom of the pool to circulate and be caught by the skimmer. 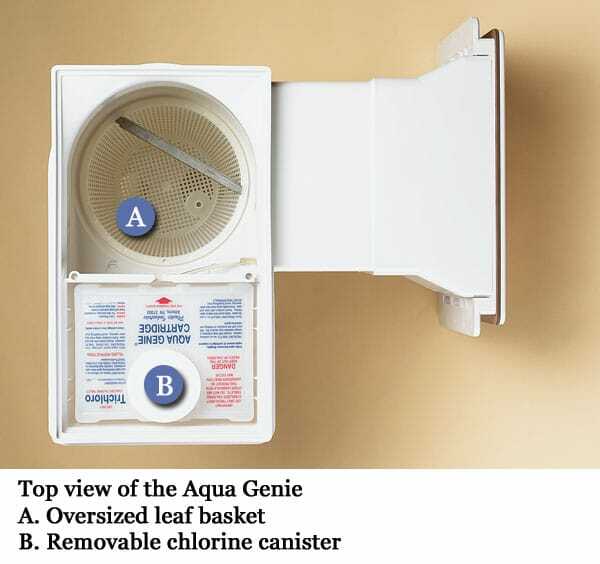 Also, since the Aqua Genie doubles as a vacuum, you can reduce the amount of times you need to shut down the filter to clean out the trap. Hate measuring and adding caustic chemicals to your pool? 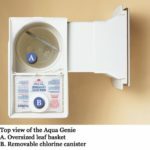 With the refillable chemical cartridge in the Aqua Genie, you can now effortlessly control chemical levels in your pool. 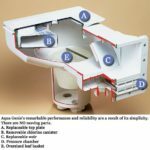 Another bonus of the Aqua Genie is the simplified plumbing system, which allows lower-power pumps to be used - which translates into big savings on your electrical bills! 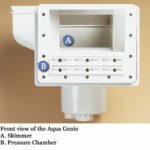 Why not buy an Aqua Genie today?